What is good about a strength goal is that it’s much more specific than a goal like ‘I want to tone up’, which is what if often used when actually describing the desire to build muscle. 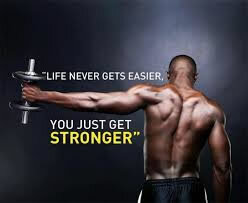 Strength is easily measured. It can be measured by the number of pushups performed, the amount of weight able to be lifted, etc. It’s also noticeable in daily life: easier to lift groceries or lift your suitcase into the overhead bin. Clients often tell say they just want to lose 5 or 10 kilos to “lean out.” (Sound familiar?) But you’ve probably heard the old “muscle weighs more than fat” line. While that’s not technically true (a kilo is a kilo), it is true that a kilo of muscle more dense and takes up less space than a kilo of fat. So if your goal is to shed kilos, you really should be aiming to lose body fat and gain muscle. 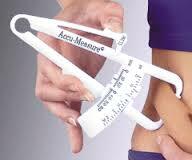 Essentially, you’re hoping to shift your body composition and lower your body fat percentage. You can measure this in a number of ways: You can ask a trainer to test it using skinfold calipers, or you can go to a special lab for a more accurate air­ or water­ displacement test. Keep in mind that the first is not 100­percent accurate, but as long as the measurements are done under the same general conditions, you’ll be able to get a pretty good look at your progress. Write down this goal if you’re one of those people who just doesn’t get particularly excited about running/lifting/sweating just for the sake of it. Sometimes people need a specific skill to get them going. 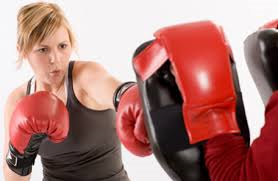 You may like to pick a sport or skill that you want to learn to excel in—like Pilates, lifting weights or boxing. Make specific achievement goals, such as targeting a number of chin­ups or conquering a forearm stand in yoga. 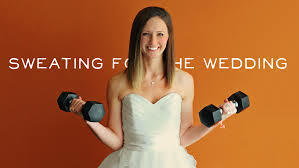 Many people want to shape up for a specific event—a wedding, a school reunion, bikini season… While it is great to have a time frame for your goal, a more long­term approach to health and fitness is a better way to go. Sure, you’re motivated to work hard for the grand occasion, but do really you want to put in all that effort only to let it fall by the wayside later? Consider how you can keep those gym dates, favourite classes or regular runs in your schedule for the long haul. Alot of things can motivate you: finding a workout buddy, blocking off your calendar with hard­and­ fast “fitness appointments,” and prioritising personal training in your budget. What’s important is that you find your what works for you and hold onto it. But if you really need an end goal, just make a point to try something for a month or two. By the time you’re finished, chances are you’ll be hooked.